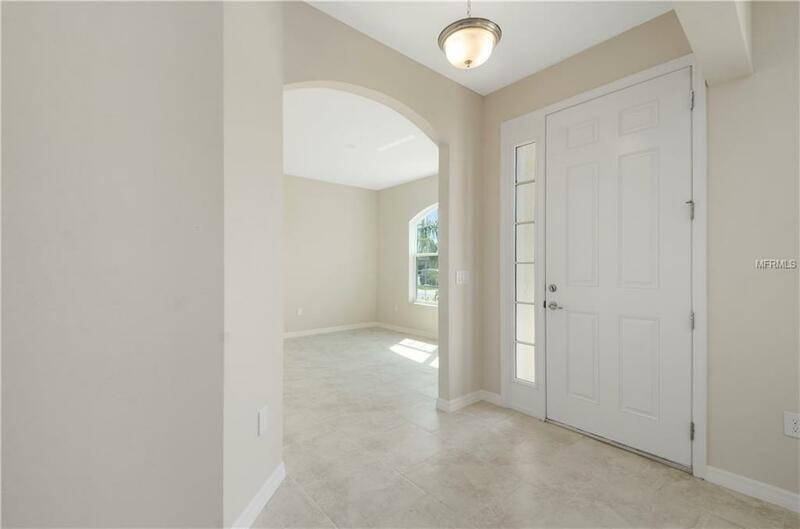 NEW CONSTRUCTION - READY NOW!!! Take advantage of the this unique oversized lot offering 62 ft x 180 ft of space that backs up to a water view! Room for pool, deck, garden, anything! 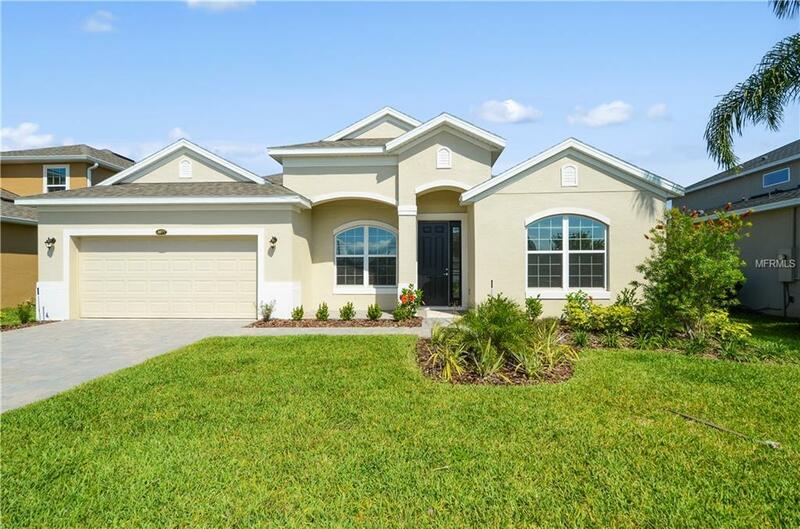 This spacious 4 bedroom, 3 bath home is jaw-dropping! Do you like cooking and entertaining? The kitchen island is 13 ft long!! And opens up to a massive great room. Three-panel sliding glass doors in the family room offer tons of natural light which brightens up each space and shows off such features as the upgraded 20x20 Pesaro Ivory Porcelain tile, the Granite countertops in the kitchen and Master bath, and 42" sleek cabinets with crown molding and under cabinet lighting. All the kitchen appliances are included in a stainless steel finish. 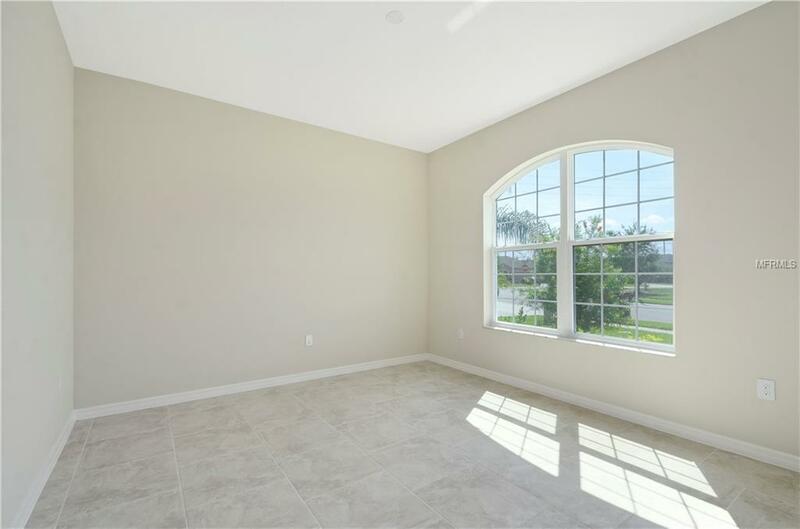 A very spacious master suite offering his and her closets, double sinks, garden tub, stand alone shower and private water closet in the master bath. 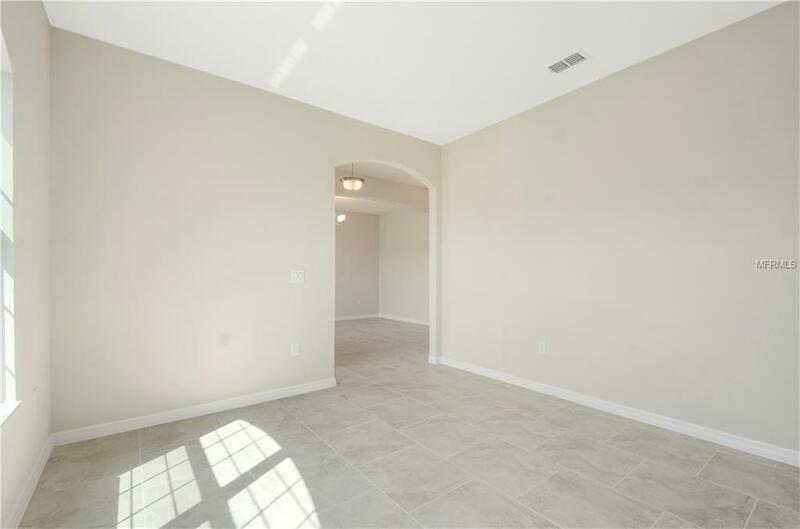 Off a separate hall are 2 additional bedrooms and a 2nd bath with double sinks in between. Yet another separate hall for the 3rd bedroom and full bath with walk-in shower. Just 15 minutes from Medical City and 417 offers you all the conveniences, but more space, more affordability, and a quiet place to come home to. FINAL HOME - CLOSEOUT - BUILDER IS PAYING $10,000 towards CLOSING COSTS when utilizing preferred lenders!! !